Tussock moth pupa. 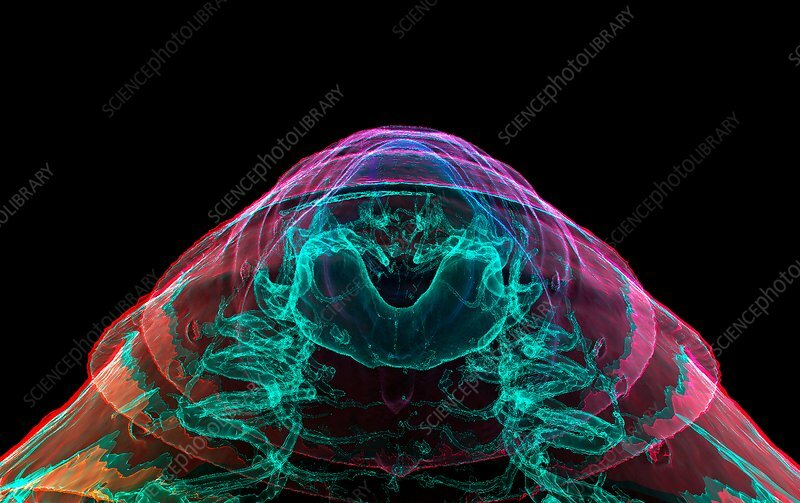 Coloured 3D micro-computed tomography (CT) scan of the head of a tussock moth (Arctornis sp.) pupa, showing the air sac and tracheal (respiratory) system (white). Air enters the body through the spiracles (holes) on the sides of the thorax and abdomen. Oxygen is then distributed via the tracheal system to supply the tissues of the pupa through diffusion.